You’d think that a huge city like Bangkok would have more bridges, but Thais are still spiritually connected with waterways. 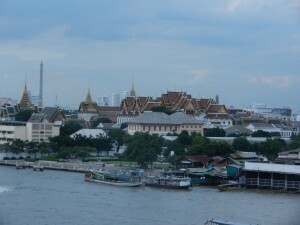 I took many river taxis from my hotel in Chong Nonsi, in southern Bangkok, to the central area, where the Grand Palace and Wat Arun (shown above) preside. Each time was a journey into Thailand’s cultural roots. 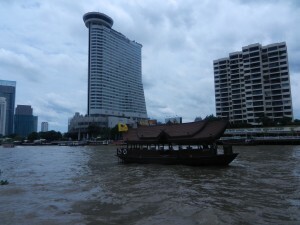 A lot of corporate offices and high-rise hotels thrust from Silom Road, where my hotel was, and they tower over the ferry station. 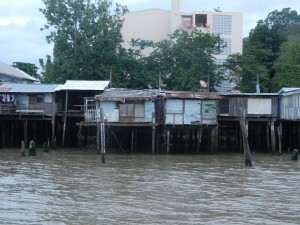 But the boat also sailed past wooden buildings on stilts that evoked Bangkok of the early 19th century. 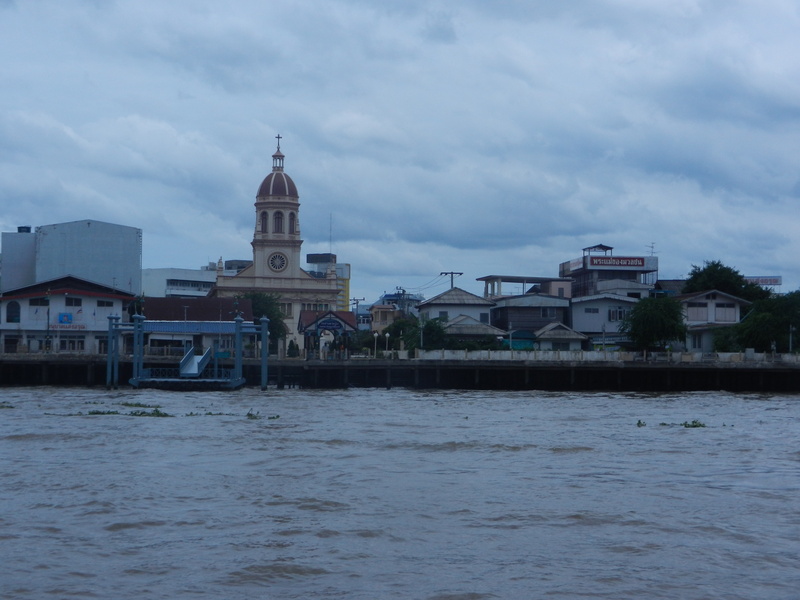 We passed churches, including this beauty in Thonburi, which faces Bangkok from the river. 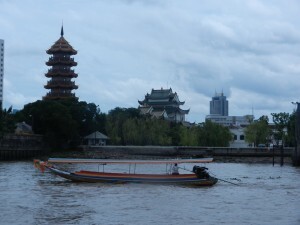 This Chinese-style pagoda also gracefully rises in Thonburi. But it also evoked ancient patterns from life along the great rivers, like the Mekong. 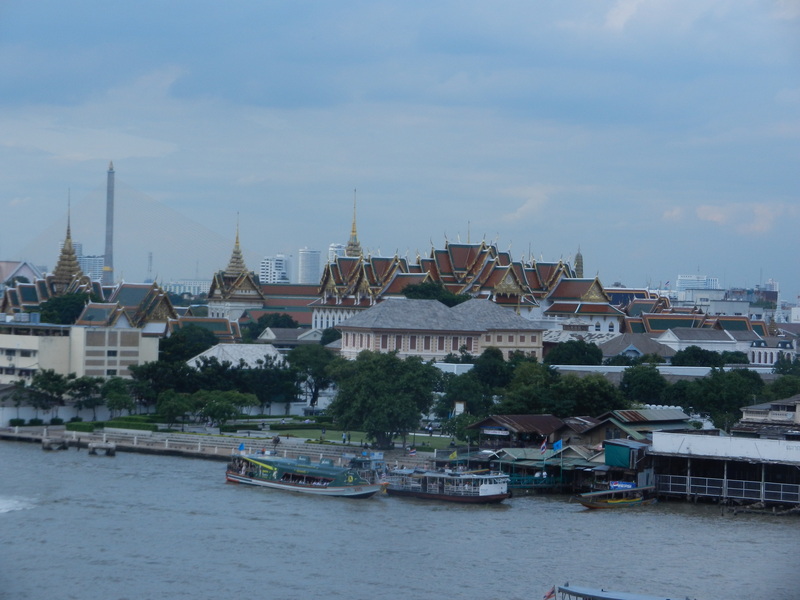 Traveling through modern Bangkok took me through ancient Southeast Asia’s cultural landscapes. Irreducible abundance has been more basic there than linear relationships between distinct entities, which the West has emphasized since Ancient Greece. The forms that surround people are so diverse that they can’t be neatly categorized. 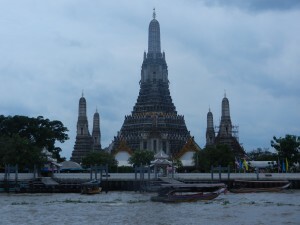 But Thais and other southeast Asians have turned these flows into some of the world’s most beautiful art–such as the Buddha’s footprint at Wat Pho, which is just south of Bangkok’s Grand Palace. These graceful mixtures of perspectives are different from the Western tradition’s love of taxis–of neatly arranging things. But they’re great models of reality in today’s globalized world.